One of the first things I told myself when I was going to start this blog was never to write anything too lengthy, because people will lose interest and not read it. Truth be told, many Nigerians don’t read. Which is probably why someone once said, “If you want to hide something from a Nigerian, put it in a book.” This may sound over the top, but I believe it is true to a large extent. The average person can’t be bothered about reading or engaging in any other seemingly serious mental activity. 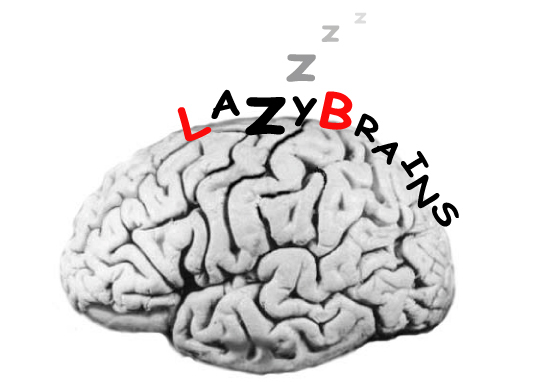 We don’t like anything that involves racking our brains because we believe it is too much work. I remember an experience I had writing my first GCE exams as an SS2 student, (my parents wanted me to get a feel of it before my final exams in SS3). We had settled into writing this particular paper when I observed the girl sitting beside me copying exactly what was on my answer sheet. Naturally, I became worried not just because it was cheating but mainly due to the fact that she didn’t have enough sense to coin her own words after getting the idea from what I had written. She was copying me word for word! I didn’t want to report to the invigilator so I wouldn’t get her into trouble (besides, I was a teenager…it wouldn’t have been cool to do so), I figured it was better to help us both by trying to develop some points for her, so I started by asking her to write a particular word in capital letters, and guess what?! She spelt out C-A-P-I-T-A-L L-E-T-T-E-R-S, I was confused and told her “No, I meant Block letters” (silly me, I should have known better) and to my shock she spelt out the words again! That was when I gave up. I almost started crying because I didn’t know things had gotten so bad. Our inability to think is part what has dragged Africa into the doldrums of poverty and mental slavery. Even the internet and the proliferation of all kinds of gadgets has not helped us, because most of what we do with it is junk reading, as opposed to quality reading or research that will increase our knowledge and improve our vocabulary and writing skills. We don’t read anymore…we can’t spell properly because we are now used to abbreviations. Social media slangs have filtered into our official lives. An applicant sends an email full of social media abbreviations such as “pls”, “ofz”, “10q” to a prospective employer and expects to be taken seriously, and possibly get the job! How many of us buy books or newspapers? How many of us can tackle simple arithmetic questions without the aid of a calculator? The girl in my GCE exam hall just wanted to wanted to copy me and submit, she wasn’t interested in thinking at all. Reading, which is one activity that provokes thought has always been my first love and number one hobby. As a child I was (and still is) fascinated with words, and was always quick to check up the meaning of words I didn’t understand in the dictionary or ask my parents if they were close by. Now I wonder how many of us encourage our kids to read or think for themselves even if we have given up on ourselves. The founder of the Ford Motor Company, Henry Ford said “Thinking is the hardest work there is, which is probably the reason why so few engage in it.” Even though we have legitimate excuses of being too busy trying to fend for ourselves, to attain our full potential as individuals, or be the next Wole Soyinka or Albert Einstein we will need to start engaging our minds more. Thinkers rule the world! PreviousPrevious post:Looks vs PersonalityNextNext post:My World Cup Fever! Hahaha! I can imagine…copying someones exam no along with the answers? That’s just the height of it. Thanks for your comment Anwuli. The article is really nice, It does remind me of the times when you would always find me reading but now ( looking for ways to make money :D) . There is a need to get back that zeal for reading as there is a lot of benefit in it. It improves ones diction, expands your vocabulary and opens up your imagination. The summary of it all is this : you would be the same person you are today in 5 years time unless for two things; the friends that you keep and the books you read. Hmmmmmm, I particularly liked the summary part Pero. I’ll bear it in mind. Thank you. This piece is on point and hilarious too (CAPITAL LETTERS…. I’m sure I will laugh or giggle each time I remember) since we have found ourselVes in this situation, I guess the right thing to o is how we can consciously adjust individually and help people around us. We can all commit to reading something that will improve our knowledge always and inspire people around us to read. While serving as a teacher in the eastern part of our great nation (Nigeria), I always pushed my students to check meaning of words in the dictionary. I know it helped those who committed to it. I realised the importance of reading and was challenged to start reading after I struggled to read a book by Ben Carson – Think Big. Thanks sir. Sometimes I think our generation is too shallow, we are more concerned about the latest in fashion or gossip in town. Would be really nice if we can work on self improvement via mental exercise. I chuckled reading this. The quote about hiding things in a book from Nigerians is not only specific to us to be honest. The epidemic of not reading, Using social media slang is all over the world now. I am guilty of it too, I used to love to read books so much, I don’t know where that zest disappeared to these days. I do still read books but not as much these days. my sis in law mentioned it to me recently, she goes “I don’t see you with books anymore,you always seem to be in between finishing up one each time I ran into you back then “. Social media is the devil I tell you and I sure am a junky. Interesting…even I am guilty of it. As much as I love reading, I don’t do it as often as I should. Sometimes it’s hard because we are all trying to make money now but it honestly helps a lot. Thanks dear! Yes lolade I remember dis episode on capital letters / block letters way back ,it’s really so… Funny.am guilty too as an accounting student back then I loved playing with figures from my head but now I would rather use d calculator and get it over with asap.it’s made me lazy mentally.thanks for ur timely post I think I ave to get back to mental calculations. Thank you Funmi. You really should, don’t lose the touch! Guess it was much easier when we were younger and had little or no responsibilities but now, we chase money cos we need it badly considering d situation of D country and d huge responsibilities at hand. Nevertheless, all we need is determination and discipline to find a little time to exercise d brain. May God help us. You can say that again Bibi. So many things fighting for attention now. God help us. Thanks for your contribution. Lool Tee, I’m sure you’re not. Thanks for commenting. spot on once again lolade. I suspect you are a journalist. Information is power and if you don’t read, you deprive yourself of knowledge. One doesn’t even need to read books or eBooks these days. The no.1 book today is non other than Wikipedia. I cant believe the volume of information on the site. Its jaw dropping. It becomes an addiction when you click one hyperlink to another and just continue. I get tired at a point but what i gather is unbelievable. Just last week i was reading about the channel ‘telememundo’ that is fast becoming the favourite of all on DSTV. through Wikipedia i found out its an american based channel and not latin based. Then i started reading about the popular telenovela actors and actresses on the channel. Its was amazing and to think there was more all on Wikipedia. Its not easy to read. Not everyone can do it. I mean sit and read for hours. I think its a talent if you can do that. One might not like reading but its important to gain information. You could read very little like on Wikipedia and gain sooooooo much. Its not really about reading for long hours or bulky books. Its more of what you can gain with the little you have read. I always always learn something from your comments. You can bet I’ll start paying more attention to Wikipedia now. I agree that it’s more about gaining a lot from what is read, not necessarily reading bulky books. Thank you Kfayiga!…Oh and no! I am not a journalist, I prefer to be known as and called a writer. I think being mentally alert goes along with one developing a reading attitude or habit. Nigerians of today don’t like to read anymore because of what we are all experiencing in the country. I don’t understand why an average worker in a reputable firm has to use this new age abbreviations, which to me doesn’t make sense @ all. I get pissed when I chat with people I felt should be a role model to others trying to attain a higher status like them using the words like ‘fenks’, ‘tenks’, ’10q’ all all sorts of unreasonable words. I now begin to wonder, how this people got to that position they occupy and trying to correct them brings some kind of hatred. Lolo, nice write up once again but I thinking reading goes along with the person being mentally alert and of course have a stomach filled with ounje :). Lol@ Stomach filled with ounje. Thanks Black diamond. That’s the spirit Buby! There are so many things that we learn from reading, it opens our mind to a whole new world. Thank you so much for commenting. Hahahhahahaahhaaha. . . This is a blow almost below the belt Lolade! Holy Mary. . Are we not all guilty of the “offences” above? May God help us. I leave the rest to my private thoughts . . . Well done Lolade! Lol, Abayomi this article speaks to me also because i don’t read half as much as i used to. Like i said, now we are all trying to make that dough so it’s not really easy. It’s just to try to jolt us to improve ourselves. Thank you. Hmm! You got me thinking. I need to work @ it. Lol. Yeah…pls do. Thanks Jola.